I’ve always had a soft spot for Infect. It was the first deck I played in Modern, the first deck I built on MTGO, and the first Modern deck that proved to me how awesome Modern was going to be (rock on, Blazing Shoal!). Infect has changed since those early days of 2011 Modern, but with the metagame in its current state, Infect is enjoying newfound popularity and success in tournaments. It’s currently one of the format’s tier 1 decks, with a 6.5% metagame-wide share and numerous high profile finishes at major events. It’s also one of the format’s winningest decks, both in its T8 performance and in its MTGO finishes. Good news for all you Blighted Agents and Inkmoth Nexuses out there! But bad news for players who are sick of losing on turn 3, or who can’t kill enemy infectors while they hide behind opposing Spellskites (don’t you wish you had one on your side…?). This is the next piece in the beating top-tier decks series, following my “How to Beat Burn” article. Yes, I promised I’d do Abzan next, but what can I say? My Infect win-rate article from Monday was infectious, so I had to change topics. As with last time, we are going to stop the infection in a few ways. I’m going to start with some general guidelines for picking cards against Infect. We’ll then move to a few tactics on beating Infect once the game starts; this was absent from my Burn article last week but it’s a critical point to consider. Next, I’ll move into strong sideboard and maindeck cards for the Infect matchups. I’ll then turn to different deck-building and deck-decision guidelines you can make to improve the Infect matchup before the game even starts, and I’ll end with a color-by-color breakdown of some strong anti-Infect technology. What Makes Anti-Infect Cards Good? Infect is a speedy, creature-based aggro/combo deck. But it turns out many cards which are traditionally good against speedy, creature-based decks are pretty terrible against Infect. Lifegain is obviously out of the mix, as are a lot of removal spells (e.g. Abrupt Decay) that can’t get through active Spellskites or Vines of Vastwood. These unique aspects of Infect will define your card selection against them. So here are some guidelines for choosing anti-Infect technology. Honestly, this could probably be the mantra for most Modern decks, but it’s particularly true with Infect. You do not want to durdle against this deck, and your answers shouldn’t durdle either; there’s a reason Scapeshift went 3/14 against Infect at the Pro Tour. You need to be proactive to stop Infect. Reactive removal spells are fine in a proactive deck, but not enough in a reactive one. Infect will play around these. By contrast, it’s much harder for Infect to deal with an active answer or gameplan. You know what Vines and Apostle’s Blessing stop? Bolts and Paths. You know what they don’t stop? Blood Moons and Night of Souls’ Betrayal. Permanent-based answers are an investment against Infect. Can they kill them? Yes. But while they work to kill them, you are generally advancing your own gameplan (remember: be proactive), and your solution is probably keeping them behind turn after turn. Again, this isn’t to say reactive answers, like generic removal, aren’t good. It’s just to say permanents often give you more mileage. I feel bad saying something so obvious, but in a metagame dominated by Decay and Lilly, as well as decks that don’t want to interact at all, Infect has a huge edge. These kind of removal options are great against fair decks. Infect, however, is anything but fair. This means you need to pack cards that either threaten 2 for 1s (e.g. Golgari Charm), or cards that build in another effect to guarantee a kill (e.g. Sudden Death). Be creative with your removal; Infect is built to handle most conventional removal spells (although Bolt never ever hurts). This gives you a top-level strategic overview of how to pick anti-Infect cards, but it doesn’t give you a lot of guidance on playing those cards in matchups. Now let’s turn to the trench-level tactics. Beating Infect is all about timing. Time a removal spell correctly, or threaten correct timing, and you buy yourself a turn, guarantee a kill, or waste a protection/pump spell. Mistime a removal spell and you probably die on the spot. By a similar token, you need to respect the different spells and topdecks Infect has at its disposal. Know when your opponent can delve a Become Immense. Know Infect plays as many as 10+ pump spells (not to mention Hierarch and Pendelhaven, and understand how topdecks or cards in their hand can turn a 1/1 Agent into lethal. Following these tips, here are three tactics you can use to maximize your win chance against Infect regardless of your deck. Raise your hand if you’ve heard, said, or thought this before: “LOL Infect godhand gg” or “nice topdeck Infect noob”. If everyone’s hands aren’t up, some of you either play in the most professional Magic setting on the planet (please share your LGS’s with us! ), or you are all lying. Everyone likes to blame Infect losses on bad luck, and this is a huge contributing factor to their losses. This deck is built to draw explosive opening hands and win off “lucksack” topdecks. Become Immense is designed to be topdecked and ruin your day. This construction may make Infect extremely linear and limit its range into the lategame, but it makes Infect just brutal in the first 4-5 turns of the game. Respect that deck construction and you will do better. The overwhelming majority of pump/protection spells in Infect serve double-duty as win conditions and defense. Your job is to time removal so your opponent can’t get that dual utility out of their spells, and you do this by passing priority. Opponent swings with an Exalted Nexus? Let it through! If they pass priority and don’t pump, great! You just took 2 damage! Now you can kill it and get them to waste pump/protection on the creature without that converting into damage for you. Opponent swings with an Agent and Growths it? If they pass priority, no worries! You just took 3 damage! But if you are reckless and Bolt in response, now they can cast Vines or Immense and probably just kill you on the spot. So be smart with your removal. As a related tactic, casting sorcery speed removal on your turn, or at the opponent’s EOT as an instant, is perfectly acceptable against Infect. If they defend their creatures, they are wasting resources that could have gone into killing you. Infect’s greatest weapon in this matchup is intimidation. If you play too conservatively, Infect will punish you. This is important for all decks but particularly important for aggressive ones, which need to be racing and not stalling (or at least, knowing when to race and when to stall). Take Burn or Zoo for instance. These are both decks that have blockers to intercept an Elf and removal spells to blow up opposing creatures. But if you wait around for 2 turns to ensure you always have a blocker and a removal spell up, you give Infect precious time to draw answers. What happens if they topdeck Distortion Strike? Or if they had a Apostle’s Blessing in their hand the whole time? Instead of just killing the opponent, you wasted your turns on the defensive when you could have won the game by now. Know when to switch gears and how to read a board state to dictate your behavior and figure out what Infect’s plan is. Enough theory. Let’s turn to the cards themselves. When figuring out how to beat a deck, I always like to start with the sideboard. It isn’t always the best place to start (sometimes it is actually easier to handle decks in your main 60 than in your valuable 15), but it is an obvious one that most players relate to. Infect poses unique challenges for your sideboard. It’s an aggro/combo deck that demands different answers than your traditional, overlapping cards for decks like Affinity (Stony Silence or Ancient Grudge) or Burn (Feed the Clan/Leyline of Sanctity). But once you understand how Infect works, you can see areas where your anti-Infect cards can still overlap with other matchups, even if not aggro/combo ones. Because Modern sideboard slots are so precious, it is critical that your anti-Infect tech works in other matchups. All of the cards below respect each of these criteria. Hands-down, no-contest, don’t-even-ask-about-it the best card you can use against Infect. It is the rare sideboard card that totally shuts down the enemy deck so long as it lives, but also has multi-matchup relevance in this format (notably against Twin). This is a card Infect cannot ignore. Yes, Infect players can win through this, but only if you are exerting no pressure yourself and/or completely ignoring the enemy board after Spellskite hits. If you are doing those things, however, Skite becomes a multiple turn roadblock that negates all pump and protection. Don’t get too cocky with your Skites. Savvy Infect players (heck, even non-savvy Infect players) will be sure to bring in some combination of Nature’s Claim and/or Twisted Image in games 2/3 to handle the inevitable Skite threat. Just pair Skite with your other forms of interaction (hand disruption, a proactive game plan, removal, etc.) and the Horror will be more than enough to carry you to victory. Also, and I can’t emphasize this enough, Skite’s multi-matchup relevance keeps pressure off your valuable sideboard slots. When it comes to permanent solutions to Infect, it doesn’t get much better than Curse. In controlling decks that can survive until turn 5, this is game over for every non-Spellskite creature in the Infect player’s deck. If they don’t have those Claims in hand, it’s an all-but guaranteed loss. Pump is all well and good at stopping temporary sweeper effects, but not even Become Immense can save you from good old state-based effects. Curse also has relevance in other aggro matchups, most notably against Affinity. Because Curse costs 5 mana, you need to run it alongside cheaper answers to Infect. Turn 1 Inquisition of Kozilek into turn 2-3 Path into turn 5 Curse is the kind of solid start Infect (especially a mulliganing Infect) will have a hard time dealing with. In fact, that’s generally how you want to play Curse in any matchup, not just Infect. Note if you aren’t playing creatures yourself, and don’t have any Lingering Souls lying around, Night of Souls’ Betrayal is a cheaper replacement for Curse that works just as well. Mass removal that gets around, and even kills, a Spellskite? Sign me up. Explosives has always been a great Modern card, but with the rise of the two-colored UR Twin, it has reached new heights as a go-to sideboard card. When you are running a deck like UR Twin, you need mass removal that is a) cheap, b) asymmetrical, and c) Spellskite/Vines/Pump-proof. Explosives fulfills all those criteria, and even blows up enemy Skites as a bonus. This is invaluable for decks that don’t have access to unconditional removal, especially in sweeper form. Pyroclasm is great on paper, but a lot less great if the opponent is holding a Mutagenic Growth in reserve (yeah, they waste the Growth, but no, the Agent is still there). Explosives also resoundingly passes the multi-matchup relevance test, whether against Tokens, Twin, Merfolk, or Affinity. If Explosives is your bomb of choice against Infect, be very careful about Nexus. And honestly, you should be very careful about Nexus whether you are using EE or not; it’s one of Infect’s best cards and most resilient threats. But if paired with other removal and a proactive gameplan, Explosives can be very strong in managing Infect threats and getting around their anti-removal options. Back when Treasure Cruise was taking over/spicing up (depending on your point of view) the format, Chalice was a card seeing more and more play by the week. But when TC and Pod went the way of the Bloodbraid, Chalice dropped off with them. That’s really too bad, because Chalice remains an awesome card in this metagame, particularly against the format’s preeminent aggro decks. As an anti-Infect bullet, Chalice has the unique property of both screwing with their deck AND defending itself. With the overwhelming majority of Infect decks relying on Nature’s Claim to handle artifact-based threats, Chalice cuts off both some of their most important spells and their sideboarded answers. 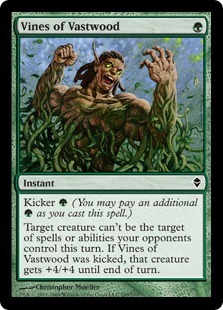 Just looking at the maindeck, you are countering at least 12 of their non-negotiable slots (Glistener Elf, Noble Hierarch, and Vines of Vastwood), along with some number of Growth, Might of Old Krosa, Groundswell, etc. Remember when playing Chalice you are still vulnerable to Agent, Nexus, and Become Immense; no, BI isn’t actually 1 mana, even if it feels that way most of the time. Also, as a more contextual point, not all decks can support a Chalice, depending on their curve. But for those decks that can incorporate it, it’s a great anti-Infect card that stops both the deck and the answer to itself. Some decks want to race Infect and not screw around with Chalices, Explosives, and Skites. I can respect that, but if you want to race Infect and still want to interact with it, you need a card that both stops the Infect win condition and advances your own. Enter Palm, aka FIVE POINT EXPLODING INFECT TECHNIQUE. In an aggressive deck, Palm is an almost guarantee kill against Infect. At absolute worst, you are probably dealing 4+ damage for 2 mana, which is still a Boros Charm mixed with Holy Day. At best, after an Immense or something similar, you are dealing 8+ damage, either killing your opponent on the spot or guaranteeing your Bolts/Goyfs can finish the job next turn. But wait, what about those Skites/Vines/Blessings that stop this kind of removal? Turns out some card designer out there hates Infect, and templated Palm in the best possible way to screw with them. Because Palm doesn’t target on either side of its effect, Infect can’t do anything to stop it. When using Palm, remember you aren’t actually killing the Infect creature when you cast it. You are just neutralizing it for a turn and wasting at least 1 of the enemy’s pump spells, converting it into damage. This effect is at its best in an aggressive deck (Burn, Zoo, UWR Delver, etc.) that can capitalize on the massive lifeswing; it’s a lot worse in decks that can’t convert a double Boros Charm into a kill. As for relevance outside of Infect, Palm is also strong in other head-on aggro matchups, where it can ruin combat math and screw with big-damage plays, like Tribal Flames or Temur Battle Rage-fueled suicide attacks. As well, it can be a bomb against Auras. Modern doesn’t lack for viable sideboard cards in the Infect matchup, and this is just a sample of all the options out there. You can see more of them in the Anti-Infect Armory section at the end of the article. But for now, let’s move away from the sideboard and turn towards the tools that can help you beat Infect even in game 1. Infect players are trying to trick you. They play fragile creatures and have exclusively creature-based win conditions, daring you to try and beat them with the same one-for-one removal that characterizes the fair world Abzan lives in. But as I said earlier, Infect is anything but fair, which means they are ready and waiting for your fair removal like Decay and Path to Exile. So if those are your maindeck solutions to Infect, better hope your breakers are good, because the best you can hope for is to force a game 3 after you lose game 1. Thankfully, there are lots of obvious and less obvious ways to beat Infect in the maindeck. One of the reasons it’s so important to have anti-Infect outs in game 1 is because you don’t want to randomly lose games to this deck. In every Infect game you play, there is some chance the opponent will god-draw and win (then again, Infect is kind of optimized to god-draw and win, so don’t blame the RNG gods when you lose to that). If you can minimize that in game 1, and even win in that first game, you are in way better shape to take down Infect in games 2 and 3. In that spirit, here are some ways to keep a game 1 edge on Infect and incorporate anti-Infect tools into your primary gameplan. I remember a time when you couldn’t even propose playing a creature with < 4 toughness without getting laughed away by the Bolt-test, much less even play that creature. But with the fall of Delver, the rise of Abzan, and the continued underperformance (read: suckage) of UWR and Bolt-based control decks, we are seeing a lot less Bolt these days than we used to. That’s fine when you are staring down Tasi, Goyf, Rhino, and 4 Souls tokens. But it’s absolutely not fine when your opponent leads with Hierarch and you follow up with a Scavenging Ooze. Infect is a deck built to capitalize on Bolt-less metagames, which you should see as an opportunity to bring back the Bolt. Now, just because you are bringing back the Bolt-test to Modern, doesn’t mean you can just throw in 4 of the burn spells and call it a day against Infect. After all, Bolt doesn’t deal with Skite at all, and is soundly defeated by Blessing and Vines. That said, when paired with other removal and other active threats, Bolt becomes excellent in the matchup, particularly if you can zap the Hiearch on turn 1 (always bolt the “bird”!). So if you were looking for reasons to go back to Bolt, look no further than Infect, not to mention Burn and Affinity hanging out in tier 1 alongside it. Just don’t rely on Bolt as your only anti-Infect card; Infect has a lot of Wild Defiance when it comes to damage-based removal. Persecution is the kind of modest effect relevant in a wide variety of matchups, fits into a number of different decktypes, and is very strong against Infect. Like with Bolt, Infect players absolutely have answers to this in the maindeck. Blessing and unkicked Vines might not help much, nor Skite for that matter, but random pump will be more than enough to keep the team alive. Also, Persecution doesn’t get rid of the Skite itself, which can be an issue if you need spot removal later. 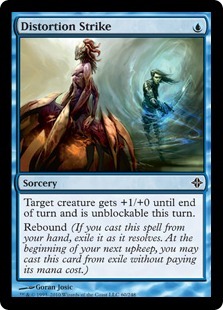 That being said, Persecution has three things going for it that make it excellent in the Infect matchup. First, it affects multiple creatures, which forces your opponent to pump everything or wave goodbye to their undefended Hierarchs/Elves lying around. Second, it’s asymmetrical, which means you can run it alongside your own little creatures (and even exert pressure in the process). Third, it’s instant speed, which gives you a lot more flexibility in casting it. Casting Persecution during your combat damage phase after no blockers were declared can put your opponent in an absolutely awful position, especially if you still have mana up for a backup removal spell. Add to that Persecution’s relevance in a variety of other matchups, notably against Spirit tokens that clog up Abzan mirrors, and you have a card with great maindeck potential. Isn’t it fun when Phyrexians kill other Phyrexians? Even if you don’t know anything about flavor or storyline (spike and vorthos can coexist, believe it or not! ), it’s clear Elesh is a beating against Infect. The Elesh/Gifts/Rites package has a lot going for it in Modern, even if there aren’t a lot of decks successfully using it these days. For one, it’s very compact, and we have seen it in a variety of decks including 4C Gifts (which is enjoying great MTGO success with about 2% of the online metagame), UW Tron, UWR Gifts, Esper Gifts, and a few other fringe strategies. Of those, 4C Gifts has clearly been the most effective, in no small part on the back of its reanimation package. If resolved against Infect, this is even more of a game-over than even Curse or Night, because Elesh both kills their creatures and sets up a 2-3 turn clock, depending on your boardstate. If you are interested in running this package, the key is to find a good home for it in the current metagame. There are lots of Gifts-engines running around, but few translate their random MTGO success into anything sustained. UW Tron and 4C Gifts are two exceptions to this, although there is probably some unexplored space with other decks as well. It’s not like the package is bad in the format. A stuck and defended Norn will end the game against Affinity, Merfolk, and Infect, not to mention causing serious problems for Twin and Abzan/Abzan Liege. So for you brewers out there, especially those that hate Infect anyway, this is a great package to start from. Elesh and Gifts/Rites might be too niche for you, but Lavamancer definitely won’t be. I’ve loved this guy since he first came out in Torment, and was always happy to see him have a Modern home in Tempo Twin, Burn, Delver builds, and more. With Infect such a prominent deck, Lavamancer’s utility has only increased, which makes him a solid inclusion in many red-based strategies. Lavamancer may be weak to Blessing and Vines, and mostly shut down by Skite, but if you can hold on to the game for the first 2-3 turns with other removal, Lavamancer will shut down Infect hard. With the exception of Skite, Infect has to spend cards to protect its creatures. So if you can threaten those creatures without spending cards (graveyard cards don’t really count the same way), you are slowly gaining an advantage with each activation. The longer the game progresses, the more insurmountable that advantage becomes. And Lavamancer excels at drawing out Infect games. Infect is good at playing around removal. It has cost-efficient spells that both defend against kill spells and tack on secondary effects (unblockability, pump, etc.). One way to beat that is to overwhelm an Infect opponent with removal spells, but this is often card-intensive and forces you to keep mana open. Another way is to just break the rules of Magic, which is exactly what Pact does. In essence, Pact defers the cost of your spell to the next turn. Against a deck that goes all-in, or even half-in, on any given turn, this is huge. Pact means you can advance your own game plan without too much fear of a disastrous combat phase. Pact also means your opponent has to respect your removal capability even if your lands are tapped. That’s not how removal is supposed to work! Everyone knows one untapped white in Abzan means Path, or one untapped red in Twin means Bolt. But what on earth do you do against a black deck with zero untapped lands? Are you really going to play around a Pact? Or are you going to rush headlong into it and risk the blowout? Good Infect players are fairly bold with the deck, and Pact really punishes those decisions while also being virtually impossible to play around. At worst, it slows down opponents while allowing you to keep advancing your gameplan. At best, it leads to massive resource swings Infect players can’t recover from. And what’s that? This card is good against Twin for basically the same reasons? Get a few copies of these in your deck ASAP. Sometimes the best way to beat Infect is to keep it simple. There’s nothing wrong with Path to Exile and Dismember, even if they aren’t the techiest or flashiest of solutions. Same goes for the traditional BGx hand disruption arsenal of TS and IoK, both of which are quite decent against Infect (if used correctly and paired with the right cards). On the other side of the coin, you can brew up something cool, for example, running some kind of Collected Company/Congregation at Dawn combo deck and benefit from some Melira action. There’s just a lot of ways to attack this kind of deck, even through the maindeck, and these five options are just designed to get the creative energies flowing. Sometimes the best way to beat a deck isn’t with sideboard hate cards or techy maindeck inclusions. Sometimes you need to beat Infect by choosing decks that are just plain good in the matchup. Of course, with Infect at just 7-8% of the metagame, you can’t go too crazy and pack your deck full of Melira’s and the like. That’s a more viable strategy against Burn, Twin, and Abzan, but that’s because these decks have such sizable metagame shares. Aganst Infect, however, you need to pick decks that beat Infect while also not seriously compromising your other matchups. Here are three ideas in that direction. What’s the best way to beat a fast deck in Modern? If you said “control” then keep dreaming (maybe we’ll get Counterspell one day). But if you said “be faster” then congratulations, you think like many Modern veterans do. As the old Modern adage goes, if you can’t beat ’em, race ’em. This current metagame has a lot of decks that are either faster than Infect (Amulet) or are as fast as Infect but with more ways to interact with them and punish lifeloss from fetchlands, Growth, and Gitaxian Probe. The Suicide Shadow style decks, rocking Death’s Shadow alongside spells like Become Immense and Temur Battle Rage, are extremely punishing for Infect players who think 15 life is a safe way to go into turn 3, and that lack removal. Same goes for Burn, a deck that both blows up Infect creatures and capitalizes off a low life total. Because Modern has so many fast decks, there are lots of ways you can race Infect, including more “unfair” decks like Griselbrand Reanimator and Puresteel Paladin Cheeri0s, and “fairer” decks like Gruul Zoo and Merfolk. There’s only so much removal Infect can handle, and it’s not a coincidence that UWR Control has a strong Infect matchup. Between countermagic, cheap spot removal, and sweepers, Infect just can’t protect its creatures over any period of time. UWR Control and other traditional control decks might not be the best positioned decks in the metagame, especially if their prevalence and win percentages are any indication, but their core spells are still very strong against Infect. If paired with a more proactive gameplan (Geist comes to mind), or in a shell that can add new tech (4C Control from SCG Baltimore, rocking Souls in the main), this removal suite is very hard for Infect to deal with. As an added bonus, this kind of removal is increasingly strong against a format that has more and more fair decks relying on creatures. Modern is full of untapped hate cards. Some of these are strong cards, like Skite, that are typically relegated to the sideboards. Moon is also in this category, although both Blue Moon and Temur Moon from Hoogland’s SCG Baltimore run have moved this card to the main (a development shared by Twin builds). Then there are the really offbeat hate cards like Bridge, Chalice, Runed Halo, or even Fog. No matter what category of hate you are drawing from, these cards scream brewing potential. When built around, they can unlock exciting, fun, and powerful new decktypes that have strong Infect matchups. For instance, Spellskite is great maindeck material in UB Tezzeret style decks. Same with Halo in an Enchantress variant, or Fog effects in a Modern take on Turbo Fog. Although these approaches might not take down a Pro Tour on your first try, they are unexpected ways to take on Infect (and even the rest of the metagame) which opponents will be unprepared for. No “How To Beat ____” article would be complete without a listing of cards that are good in this matchup, broken down by color. In each category, I’ll give an unordered top 5 list for anti-Infect cards, one honorable mention that is “good enough”, and one “trap” card that seems good but is actually terrible. You’ll notice that this lists includes a few generic removal spells (like Path) that are both obvious answers and even answers I have poked fun at earlier in this article. Although they may not be the best answer for Infect, they are still solid cards in the matchup, so you can’t dismiss them out of hand. 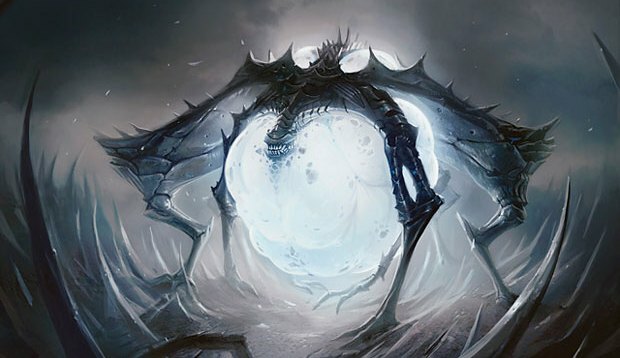 Hopefully, this article has given you some tools for curing the Infect menace in your own LGS or Modern scene. Join me next time when we take on Abzan (promise!) and think of new and exciting ways to hate on Modern’s most-played deck. How well does a card like smallpox work against infect? I would think that it should be good, especially on turn 2, as infects lands are super important (being backup creature or pump spells). But I haven’t tested against infect enough to know if that sort of card is actually good. you did not do the How to beat abzan article because you have NO IDEA how. Stop making silly excuses. Smallpox can be very strong against Infect. It’s a deck that frequently mulligans, has a low land count, and plays lots of turn 1-2 creatures. Going turn 2 Smallpox following an Infect player’s land/Hierarch is probably game over as long as you follow it up with something decent. Just beware of Pox fueling delve too much and you will be golden. You got me! Actually, the way to beat Abzan is easy: Ban Goyf/Lilly/Decay/insert_BGx_staple_here! No, but seriously. All sorts of fun anti-Abzan goodness coming next week! Just kidding man, Nice work all around. Abzan is hard to hate. More power to you sir. I was glad to hear you have a personal connection with infect. I came to this article as a fellow player myself in hopes to improve my own skills with the deck. The article is very well written and I enjoyed reading it!